Please allow approximately 2-3 weeks for these items to be made. This does not include postage time. 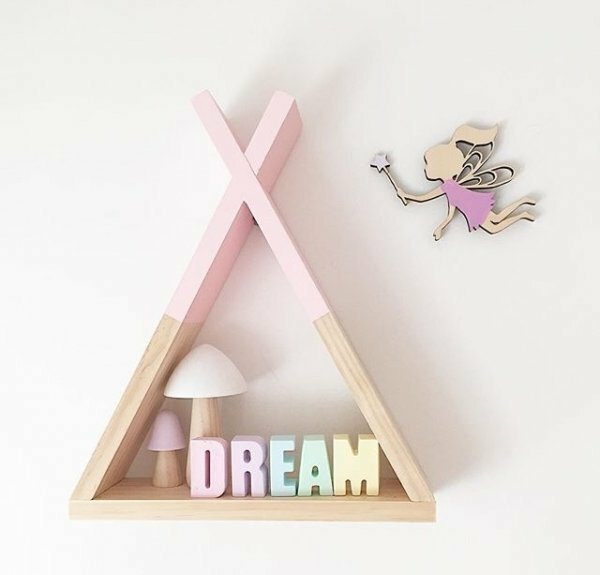 Each letter is sold individually, please choose the correct amount of letters per name. 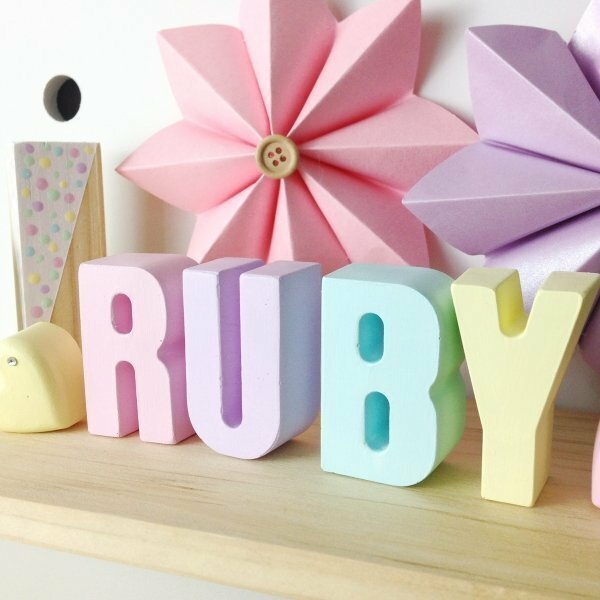 Our fabulous personalised molded kids names are fantastic to dress up the shelves in your little boy or girls bedroom, nursery or play room. 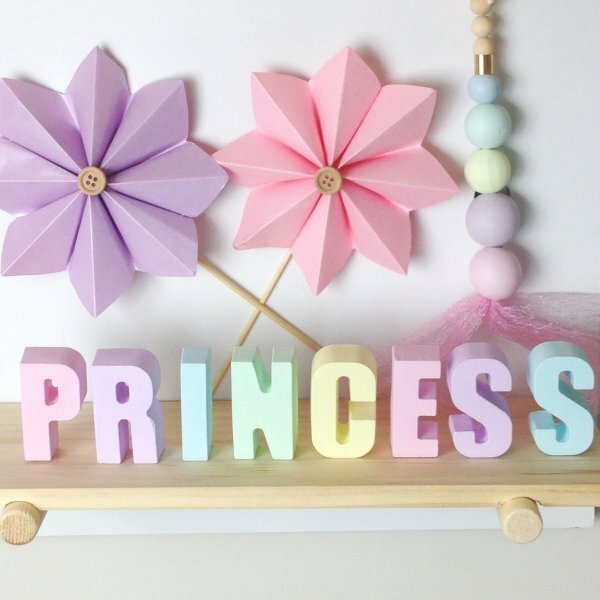 Available in many colour combinations or contact us for a custom request. 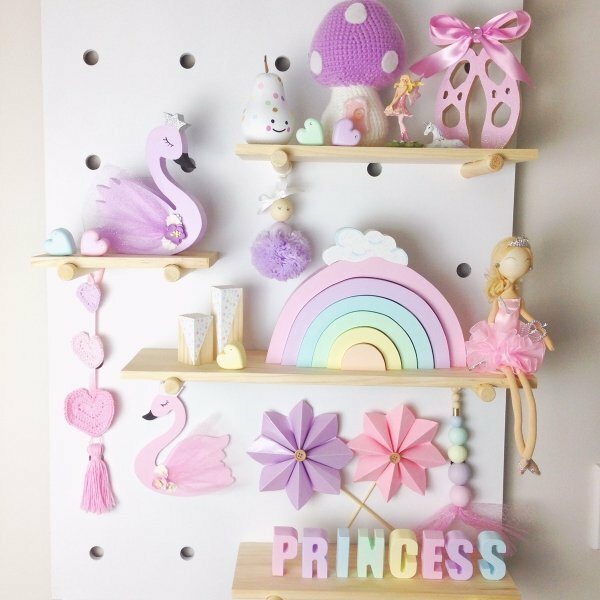 Pastel rainbow is the most popular combination, this matches nicely with our pastel rainbow molded hearts, pastel rainbow glitter sticks and our popular wooden rainbow stacking blocks. 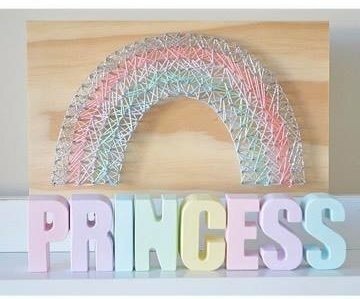 Available colour options: Pastel Rainbow, Light Pink, Pink, Lavender, Purple, Pink Ombre, Purple Ombre, Aqua Blue, Charcoal, Black, Blue Ombre, Charcoal Ombre, Confetti Rainbow. 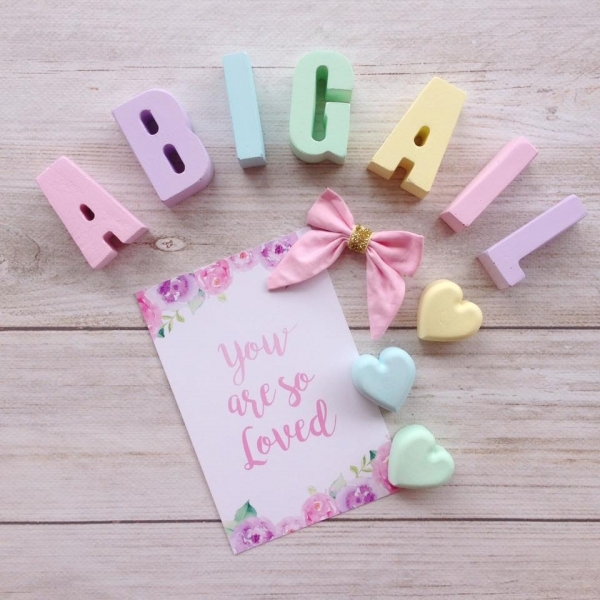 Each letter is sold individually, please choose the required amount of letters and leave your personalised name & colour choice in the box provided. Minimum of 3 letters required. 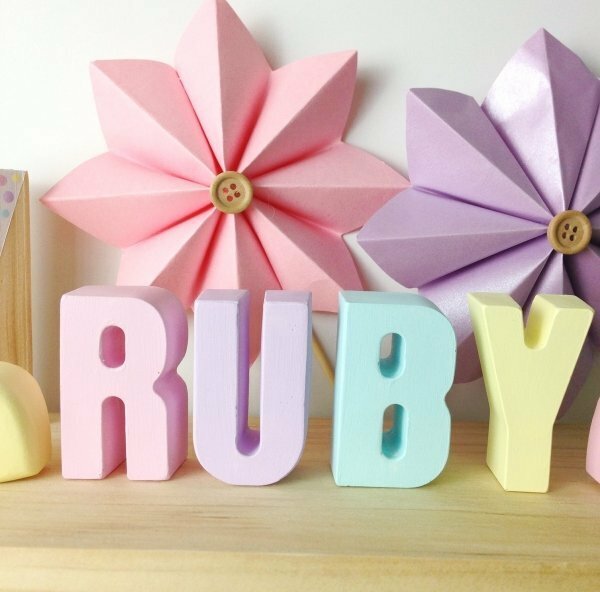 These molded names have been created from plaster, due to the nature of this material, there may be some small natural flaws or air bubbles on the back of the letters, these cannot be seen from the front. 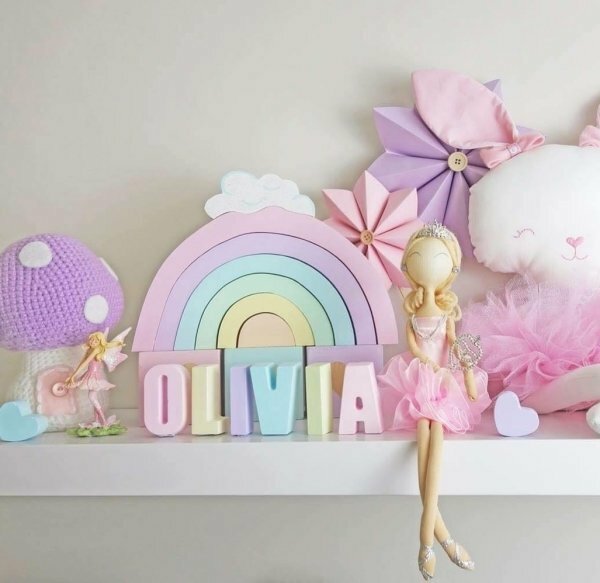 All items are made to order, please allow a minimum of 2 weeks for your order to be made and posted, if you require your urgently please contact us prior to ordering. 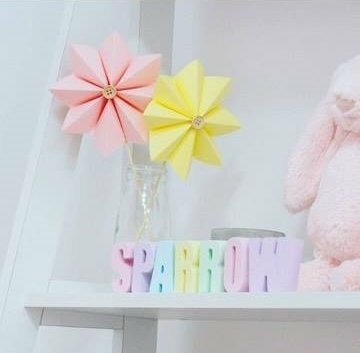 NOTE: These letters are for decorative purposes only, they are not to be used as a toy.